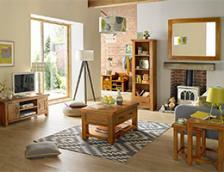 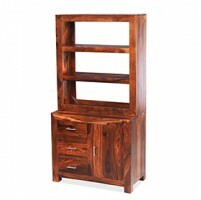 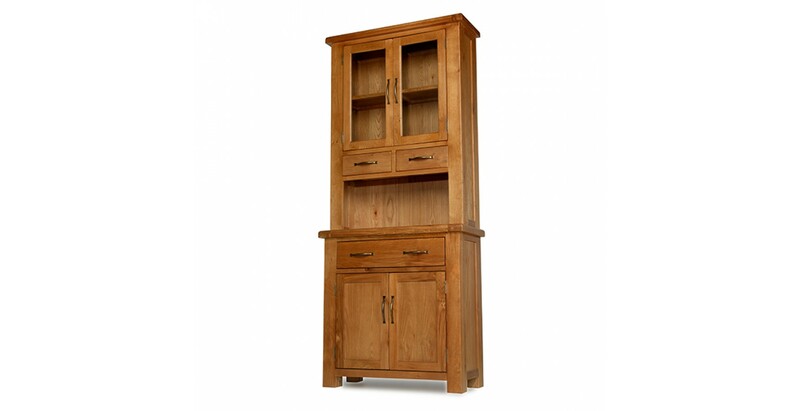 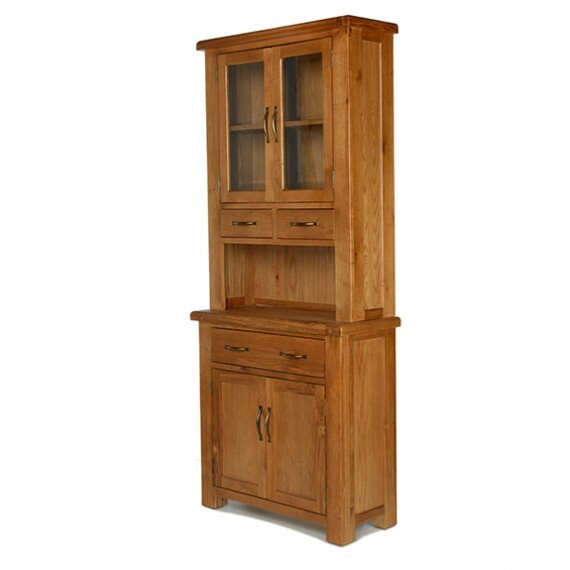 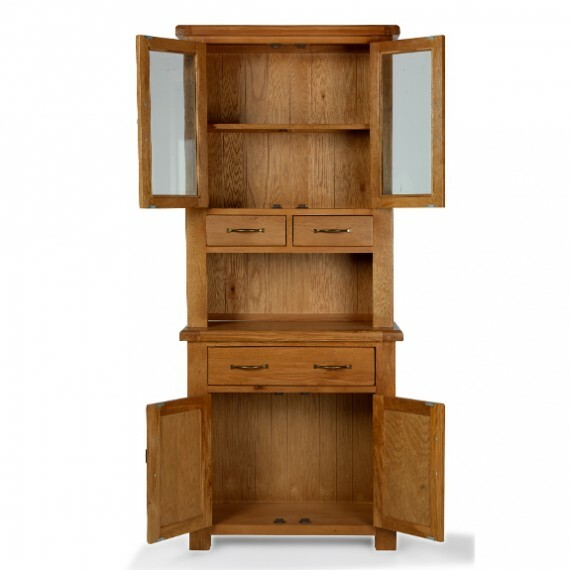 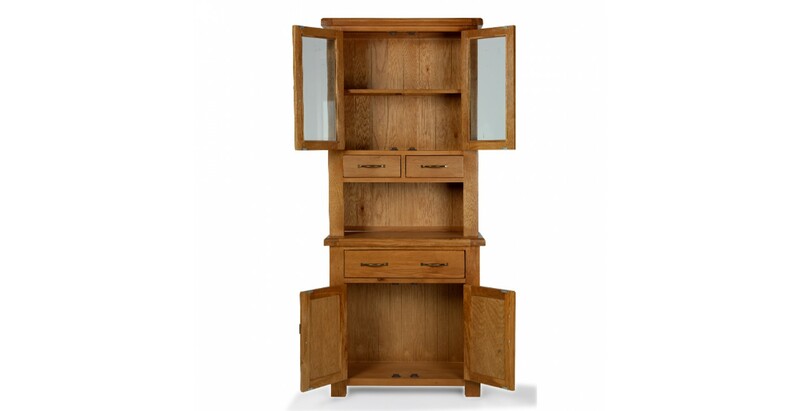 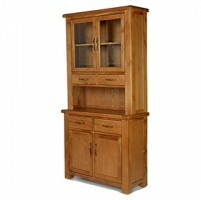 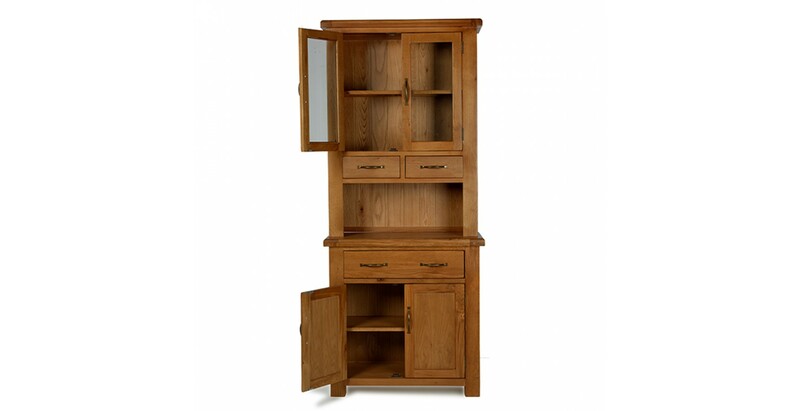 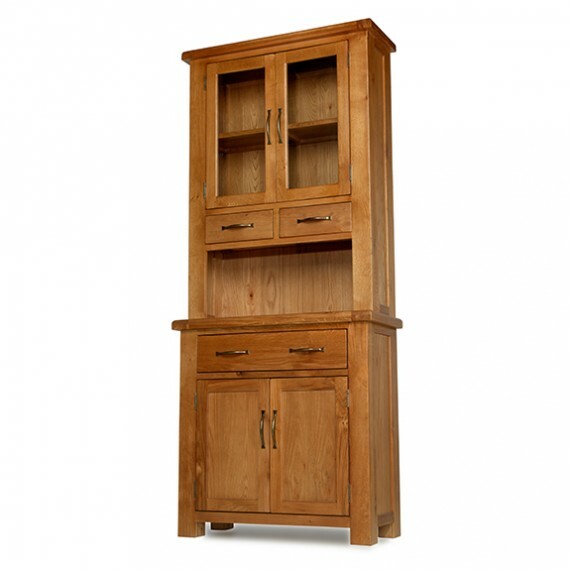 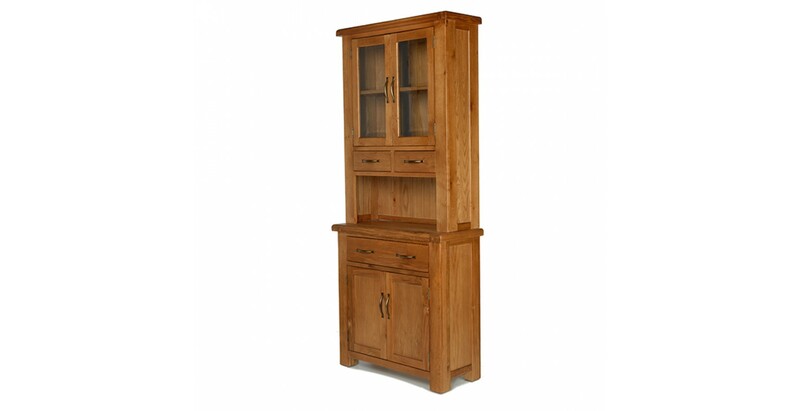 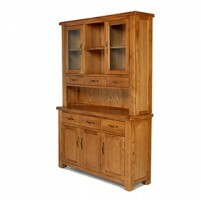 At only 85cm wide, this petite dresser will bring traditional country style to smaller kitchens or dining rooms. 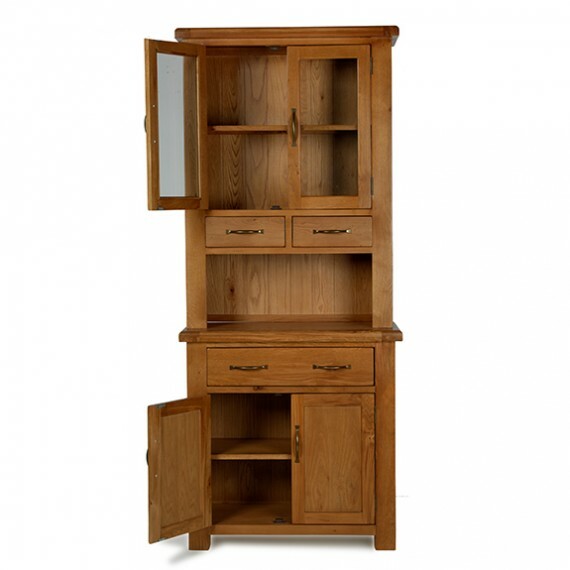 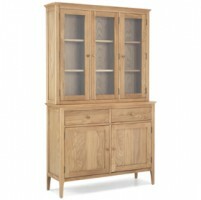 With plenty of room to show off your best crockery and store all your tableware, it has a glazed double cupboard, two dovetailed drawers, a wide drawer for utensils and cutlery and a spacious double cupboard with removable shelf. 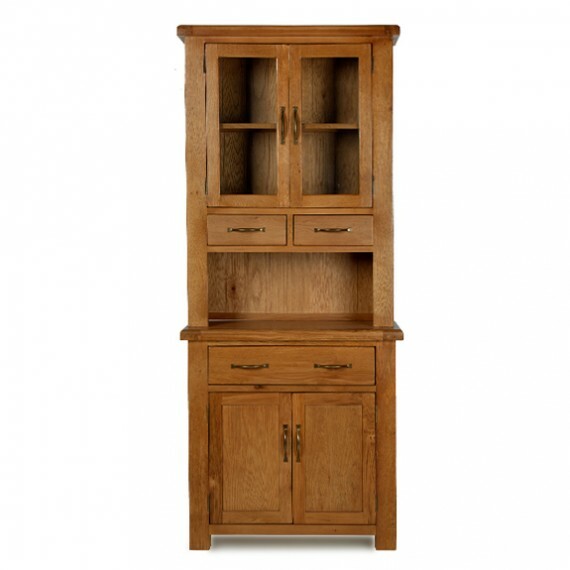 Lovely features like the rounded corners on the chunky surface and the antique-style brass-effect handles give it character, while the Wax Lacquer Finish showcases the unique grain patterns.